The spring author banquet was an evening of superb food, company and thought. Evelyn Lau humbly and passionately shared her craft with humor and grace. She provided a personal overview of her journey as an author of prose and poetry. Her readings were drawn from her original book Runaway: The Diary of a Street Kid , and her recent books of poetry. Poetry is important. It is the internal place to slow down, meditate and revisit a line or an image. In writing, especially poetry, words form unique and exact images. Listen for the sound rhythm and taste of words. There is a need for space, time, and solitude to think and read without internet or cell phone. Uncluttered internal space is essential. In creating, there is an almost mystical need for time and gestation. There is a need to wait. Learn a trade that involves not too much thinking so you can go home and write. Thank you Evelyn and all who attended. Your participation and book purchases added over $800 to the Lioness fund and contributed to the $5000 donation to Nepal. Dynamic leadership is a key component in the vitality of The Victoria Chinatown Lioness . New and continuing officers are installed each spring. This year Lion Brian joined our celebration and officiated. 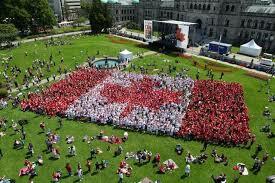 Join us on Canada day, July 1 , in the creation of a living flag. Lioness will be on hand helping . This entry was posted in AUTHOR TALK, INSTALLATION and tagged author banquet, Author Talk, Canada Day, City of Victoria, Evelyn Lau, Installation, Lions, Living Flag, Nepal donation, Officers, Runaway: The Diary of a Street Kid. Bookmark the permalink.